Once upon a time, the United States of America was the world’s largest oil exporter. We grew rich from the oil we sold and the oil we used powered new industries and ways of living that, in turn, amped up our use of oil until we had nothing to spare. Simultaneously, natural events ran their course and oil fields became less productive, causing domestic production to peak in the early 1970s. That about sums up the Export Land Model, a conundrum I touched upon in a previous post. Now, it seems to be playing out, with its own localized twists in the home of the current number one oil exporter, Saudi Arabia. 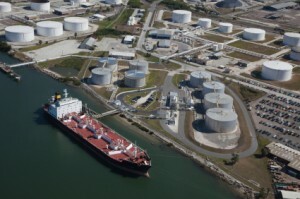 Earlier this month, a report by analysts at Citigroup echoed that assessment, saying that the world’s biggest oil exporter may become “an importer” by 2030 due to rising domestic use – which the Citgroup analysis estimated was growing by about eight percent per year. Even more recently, a Reuters story notes that Saudi Arabia burned record monthly volumes of oil in June and July. The story notes that the reason for the increase is a need to produce more electricity for air conditioning. Unlike the United States and most other Western countries, Saudi Arabia uses oil to produce a large percentage of its electricity. Switching to solar would seem to be a no-brainer – they have a surplus of sun and the rise in oil prices is keeping the cash pipeline flowing. The trick is in the transition. This Wall Street Journal article has some good numbers and perspective on the challenges the Saudis (and other OPEC countries) face in trying to transition up to a third of their electricity generation to alternatives by 2032. Meanwhile, a story from this week quotes the Saudis as saying that they will be turning increasingly to natural gas for electricity generation to reduce their dependence on oil. Ditching one fossil fuel for another to generate electricity? That sounds really familiar – where have I heard that idea before?